Last time there was a threatening storm in this region I threw a paella party with my friend Amy. 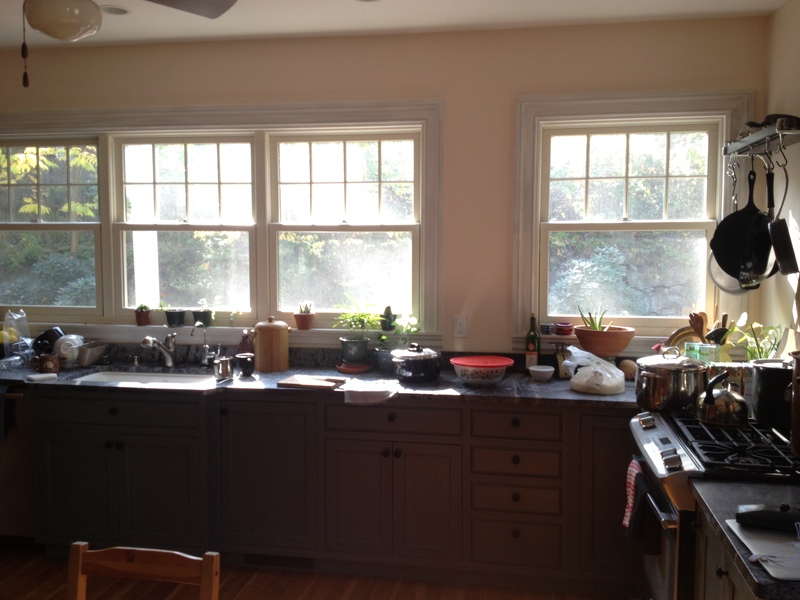 This time, I was in Boston as part of a small team of cooks catering my dear friend Melony’s dinner party in Jamaica Plain (the Brooklyn of Boston). Paella for Irene. Middle Eastern Vegan for Sandy. I made it back to NYC yesterday just before the subways shut down. I decided a while back that, for the party, I’d make hummus and ful served with dukkha and the tomatoes I canned in September. Ful is broad beans, or dried fava beans, mashed into a kind of paste with garlic, lemon juice, and olive oil. I turned to Yotam Ottolenghi for both the hummus and ful recipes and sort of winged it for the dukkha. 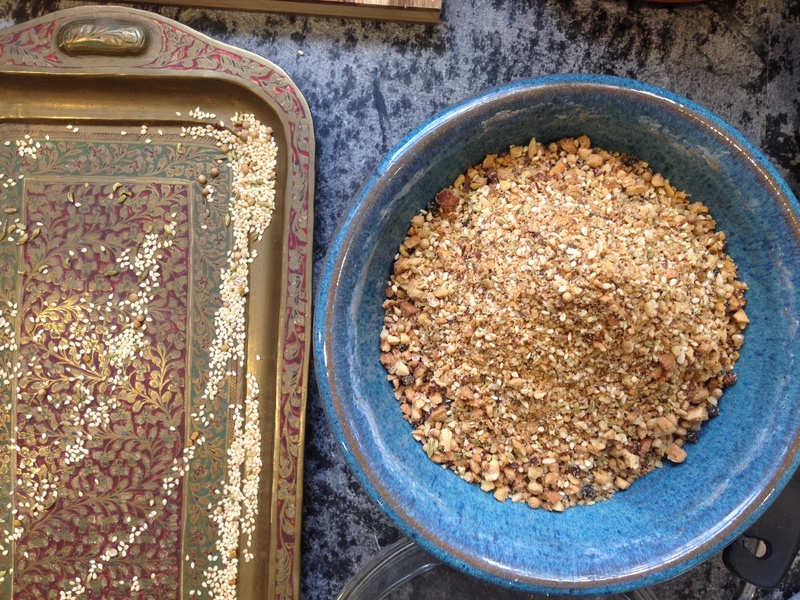 Dukkha, by the way, is a staple of Egyptian street food—a finely (or coarsely, depending on preference) ground mixture of spices, nuts, and sesame seeds, traditionally served with pita that’s been dipped in olive oil before coated in the spice mixture. I’ve never heard of it served with hummus or ful but I couldn’t imagine this being a bad thing. I love Ottolenghi’s hummus and ful recipes — you cook both beans, separately, until they’re a disintegrated mush that makes for the creamiest spreads you’ve had. 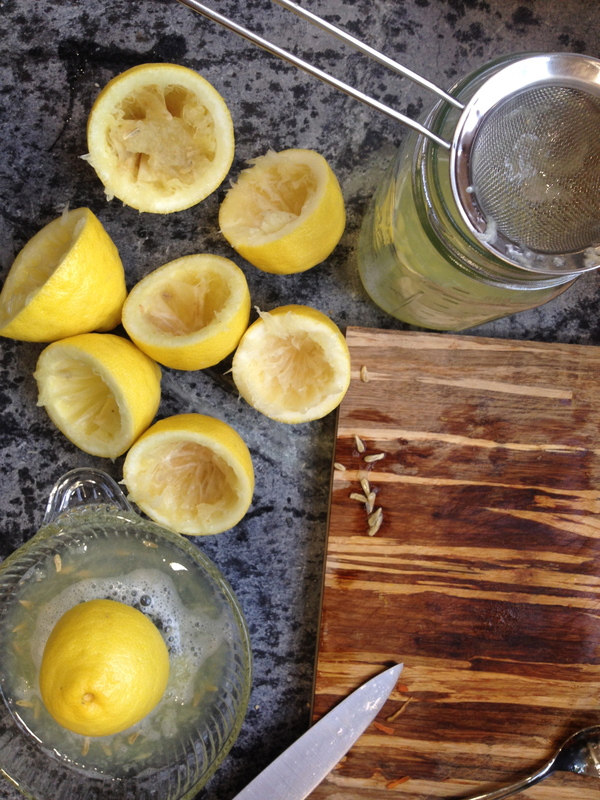 It requires lots of hand-squeezed lemon juice. I needed pita. 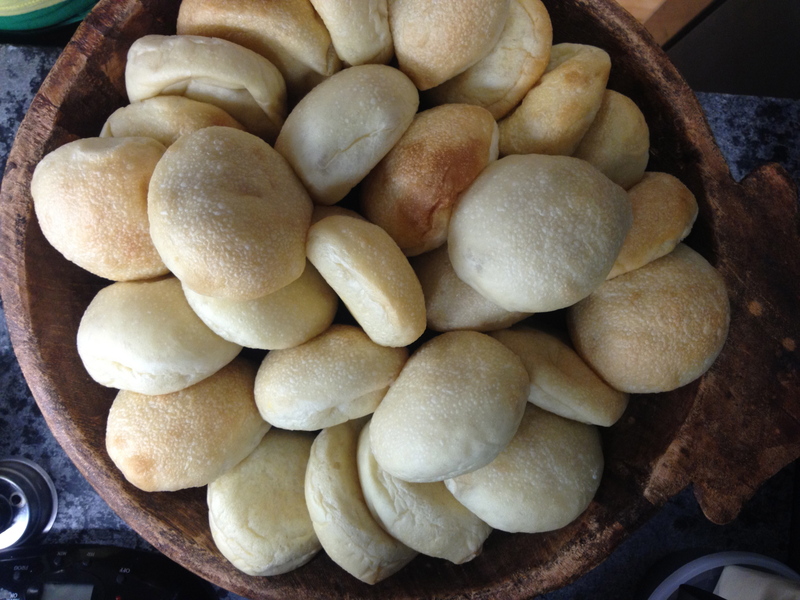 I had enough to tend to in the thirty-six hours I was in Boston that making pita from scratch didn’t make the list. I asked Melony where we might get the freshest, tastiest pita and a friend steered us toward Sofra, a Middle Eastern bakery and cafe in the Mt. Auburn section of western Cambridge. I lived in Cambridge for a hot minute some years ago but had never heard of the place. Although I was somewhat familiar with its sister restaurant, Oleana, and Siena Farms, where they grow produce for both locations. 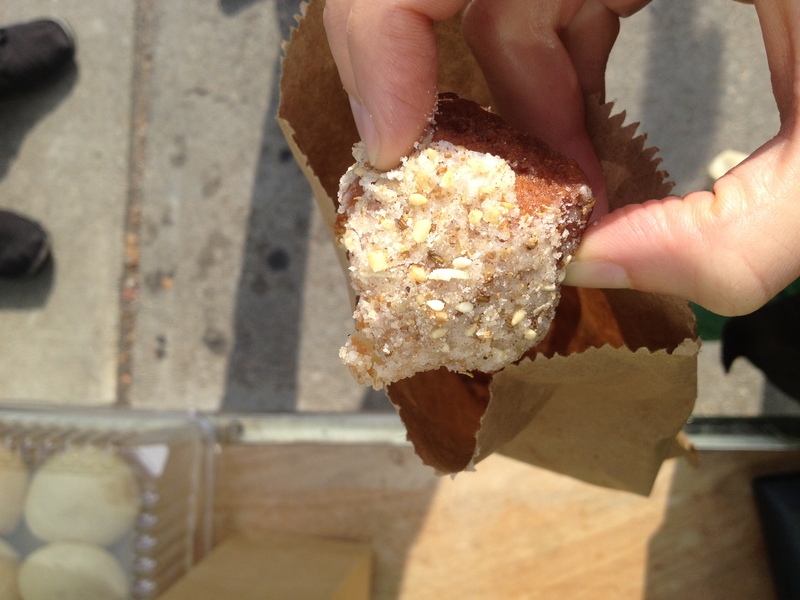 It was a twenty-five minute car ride from JP to Sofra Saturday afternoon and all I can say is: dukkha donuts. That, and: go. Run. 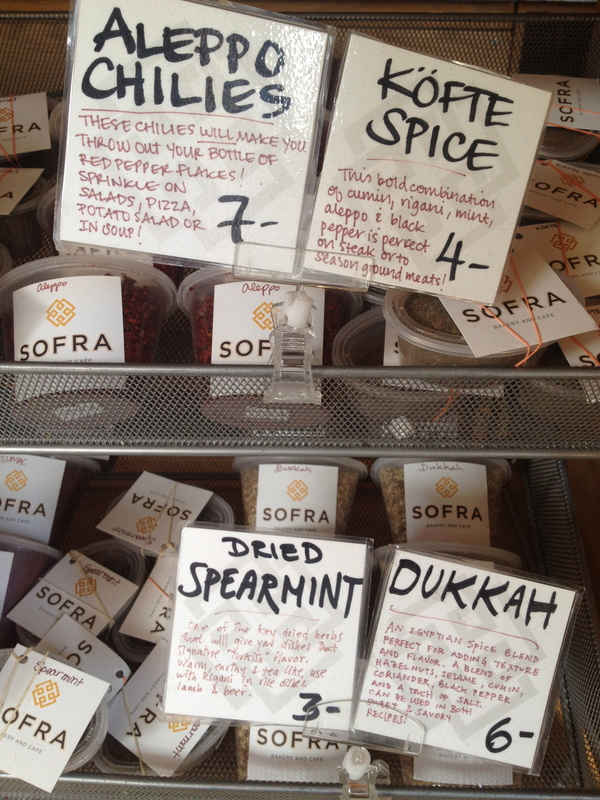 Get thee to Sofra! One thing—you can’t take the T there. Which, if you’re a local, is probably a bonus—helps keep the masses (and tourists) at bay. I was enthralled with this place. I considered buying their own dukkah mixture but had brought all the spices and nuts with me from Brooklyn to make my own. So I walked around flustered for ten minutes unable to decide what to order. I settled on the aforementioned dukkha donut (last bite below), and split a rolled flatbread with spinach falafel and beet tzatziki with Melony. But a highlight might have been the espresso-sized shot of tahini hot chocolate: Sofra’s signature drink. 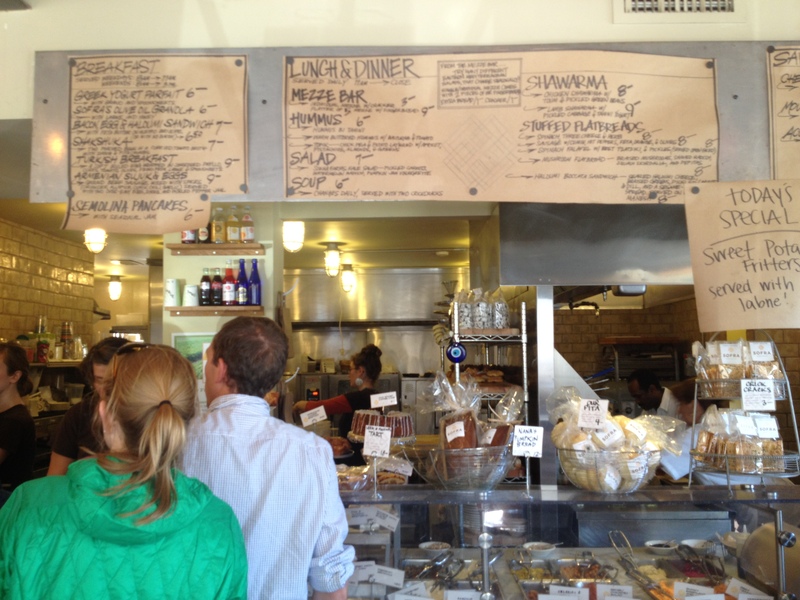 And the pita, made to order, did not disappoint (also below). The party was a grand success. It felt like a wedding—there were speeches, toasts, a lot of love in the room, and an impressive spread of both savory eats and sweet treats. 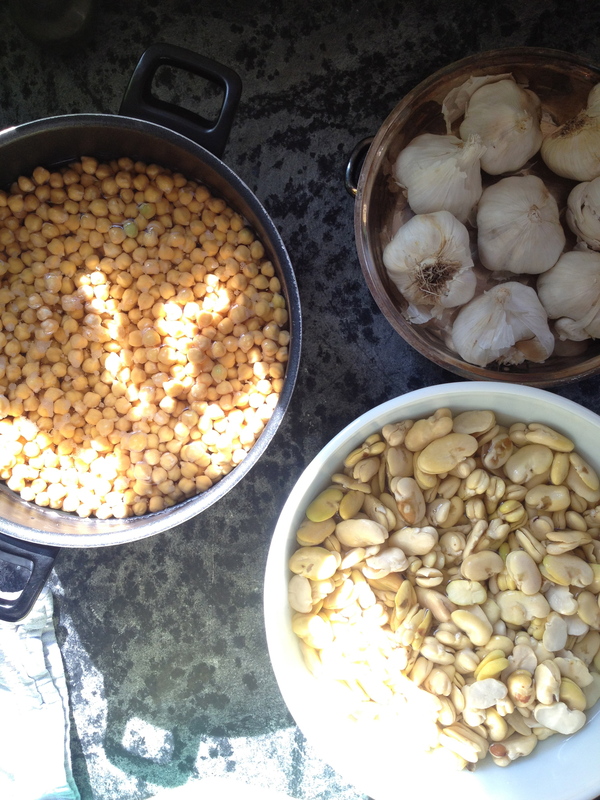 I won’t bother to retype Ottolenghi’s recipe for hummus and ful, which you can find here. I barely tweaked it—other than multiplying proportions by four, in order to serve thirty people—you can’t go wrong following this recipe to a t. But I do want to share my recipe for dukkha, below. And a shout out to my step-mother for giving me the initial inspiration after tasting a batch she had made a couple months ago. And last, but not least, I made what has become my party staple: Union Square Cafe bar nuts. 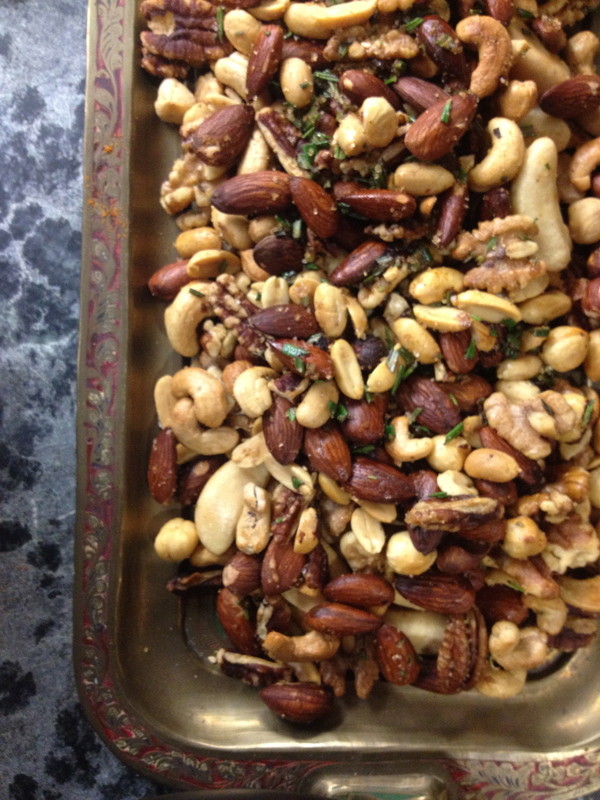 Warm, salty toasted nuts tossed with rosemary, cayenne, salt, and a hint of brown sugar. These are best served warm to guests right as they’re arriving, a little hungry, with a fresh drink in hand. Preheat the oven to 350 degrees F. Toast the nuts on a baking sheet for 10 to 15 minutes until fragrant and lightly browned. Remove from baking sheet and let cool. Place the sesame, cumin, coriander, cumin, and fennel seeds on the baking sheet and toast in the oven for about 5 minutes. Let cool. Then combine all the ingredients—nuts, seeds, spices, salt—in a food processor and blend to desired consistency. Preheat the oven to 350 degrees F. Spread the nuts onto a baking sheet and toast in the oven until light golden brown, about 10 minutes. 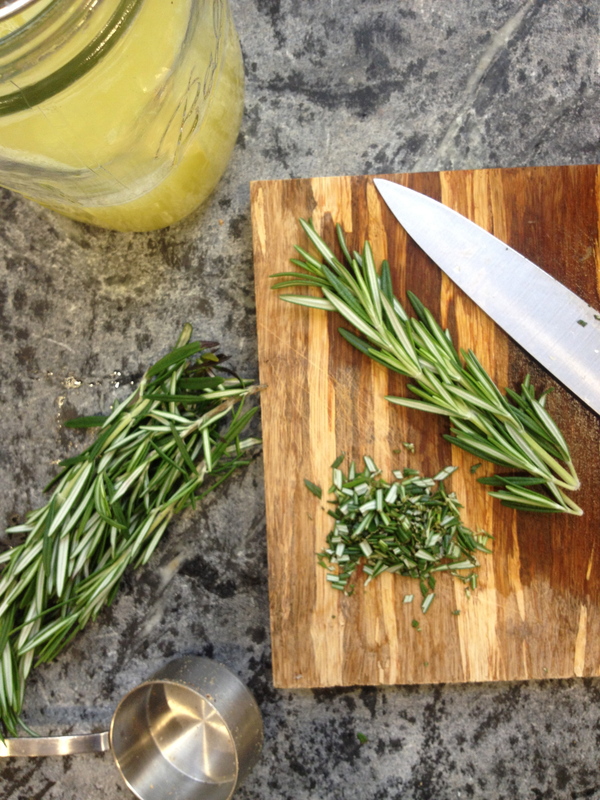 In a large bowl combine the rosemary, cayenne, brown sugar, salt, and melted butter. Toss the toasted nuts with the spiced butter and serve warm. oh my god i want to go there and to the party now and eat all of this food. melony has the best ideas. Sounds like a great weekend, Holly, and I will have to try those nuts!